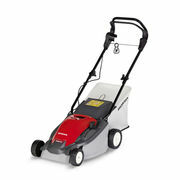 Honda's user friendly electric lawn mower is a great way to mow small areas of lawn where the power of Honda's larger petrol powered mowers are not required. This lightweight design is easy to manoeuvre around your yard and simply plugs into the plug in your wall. Environmentally friendly features are present as this mower will not emit any fuel or exhaust fumes, making your contribution to maintaining the health of the environment. 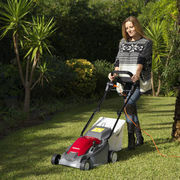 This electric mower means no more choke operation, fuel consumption, pull starting or fuel mixing with the HRE25 is able to be run on an extension cord up to 25m long! Perfect for a small suburban lawn. Equiped with a reliable 1.3kW electric motor, there is enough power for the electric mower to tackle the jobs it is designed to do. The rust proof polymer deck gives you a comfortable 14.5" cut which is perfect for small tight areas. 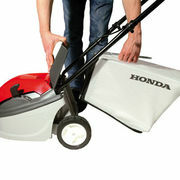 The small design allows it to reach areas other larger mowers wouldn't and means storage is simple! 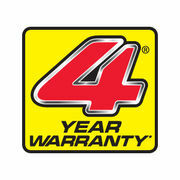 And as per usual Honda backs its products in for the long haul providing you with a massive 4 year warranty!